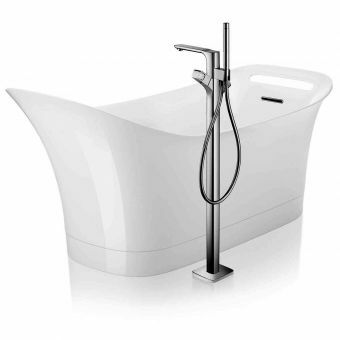 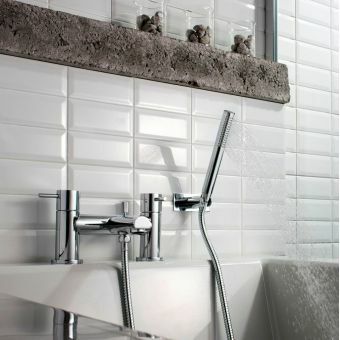 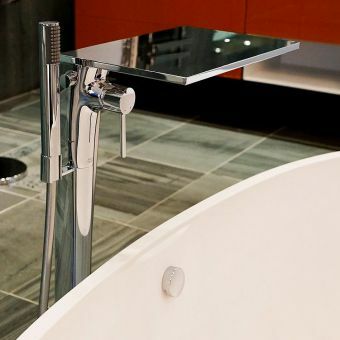 The deck-mounted bath shower mixer from Arcade combines sophistication with practicality. 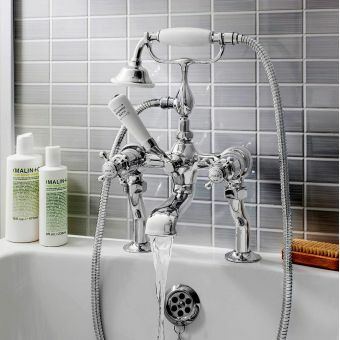 If you enjoy the relaxation of bath time but find washing away suds or bathing children a strain, the detachable shower head on this mixer will make bathing effortless. 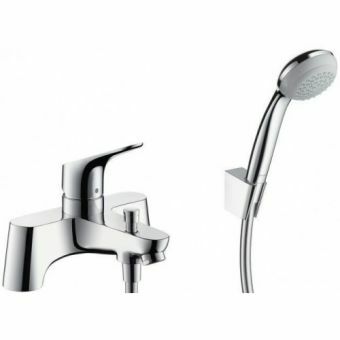 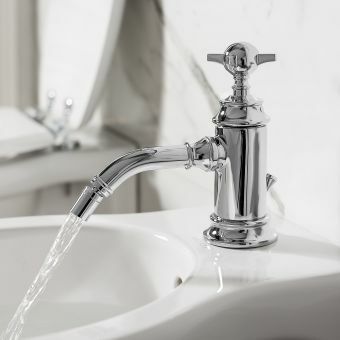 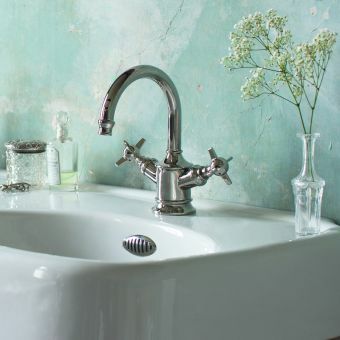 Two tap levers, a spout, a showerhead and a flow-diverting lever are seamlessly combined in one product which smoothly attaches to the edge of your bath. 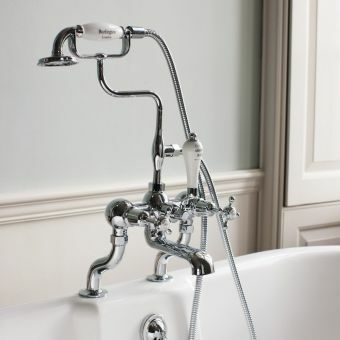 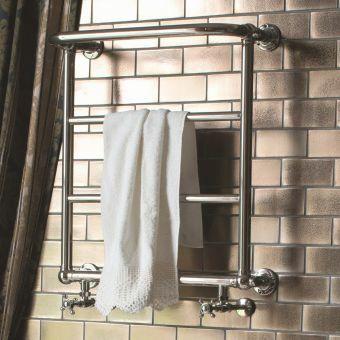 The bath shower mixer is made of solid high-quality brass and comes with a 10-year guarantee to ensure durability. 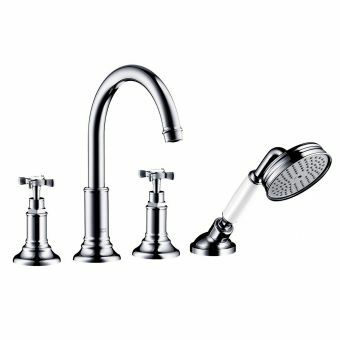 Before purchasing, select your preferred finish – this mixer is available with either warm-toned nickel or sleek chrome plating. 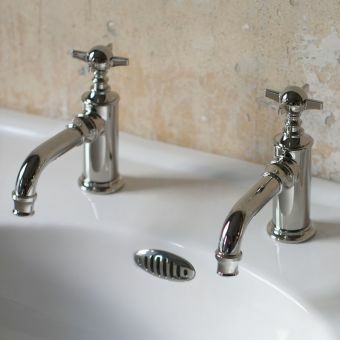 There are also multiple handle options to choose from. 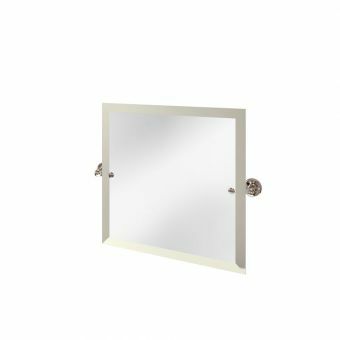 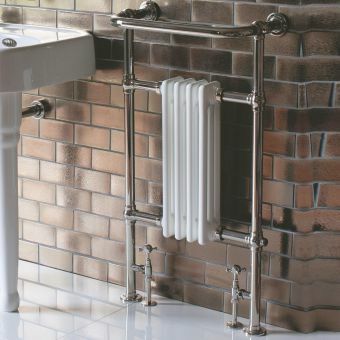 If you’d prefer an understated, unified aesthetic, opt for crosshead handles or brass levers which are plated in matching chrome or nickel. 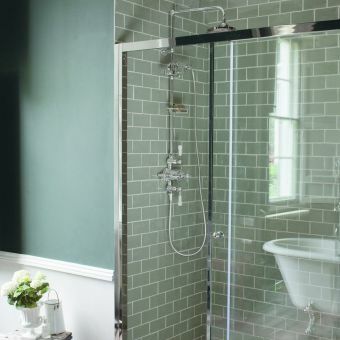 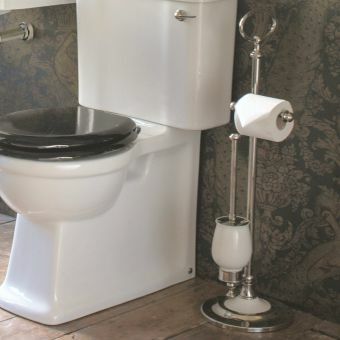 If you like to make bold choices in bathroom décor, select art deco black or classic white ceramic.